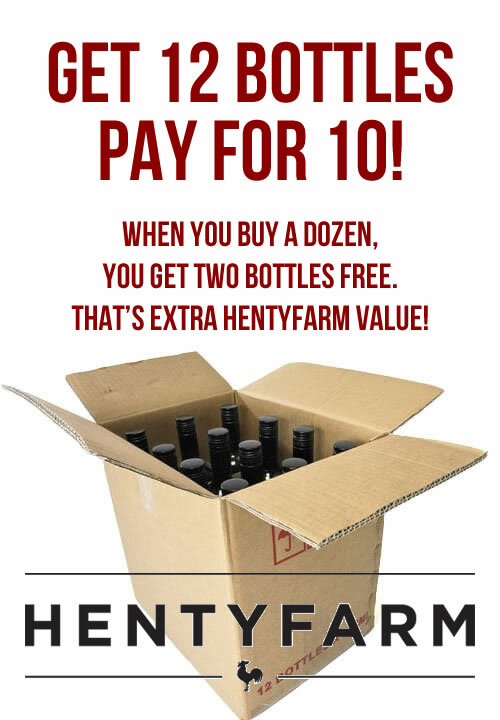 Hentyfarm wines are made with a European sensibility. They are hand-crafted using a natural winemaking approach, allowing the pristine purity of the fruit to speak for itself in each of our wines. 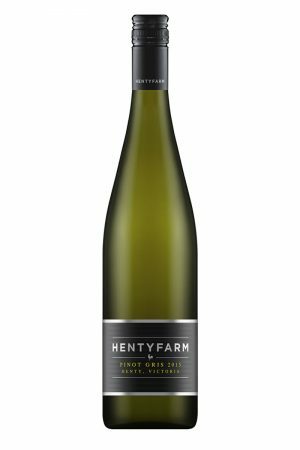 Hentyfarm’s Pinot Gris is made from notorious Drumborg grapes tended carefully by “biological grape farmers” Jack and Lois Doevan. Be wowed by a sweet floral aroma that draws you in for more. Then dive in for alluring notes of musk, honey and fig on the palate, held tight with a gentle acid backbone. It’s crisp, austere and moorish, and makes the perfect match for South Asian cuisine. We have been waiting some time at Hentyfarm for our first Riesling. The small areas within Henty called Drumborg have been making some of Australia’s finest Riesling for almost 30years. In 2015, we were allocated our first batch of Riesling fruit from an amazing vineyard site in Drumborg, Henty owned and tended by ‘biological farmers’ Jack & Lois Doeven. We have kept the Hentyfarm style consistent, hand crafting a Riesling with a European, Alsace region front palate of fruit and freshness and then follows a crisp finish of racy acidity. This wine is an oak matured blend of Chardonnay (50%), Pinot Gris (30%) and Riesling (20%). This wine was processed separately, then small batches of each wine was blended into a single 500L Puncheon for around 7 months maturation. This wine was inspired by the wines of Alsace producer Marcel Deiss who is famous in that region for letting the fruit from the vineyards tell the amazing stories of his region. Hentyfarm’s Chardonnay is made from grapes taken solely from Alistair and Alice Taylor’s “Old House” block. The Clone P58 fruit is spur-pruned to heighten the growth and maximise the shaded sun. Take a sniff and enjoy muted aromatics of kaffir lime leaf and nectarine. Take a sip and enjoy a tight, restrained palate, with balance across flavours of white peach, melon and pear. If you want a chardonnay that takes you to Burgundy and back – an old school style with a new school twist – this is for you. Hentyfarm’s Pinot Noir is made from Alistair and Alice Taylor’s “Shed Block” pinot grapes, which are Clone 114. 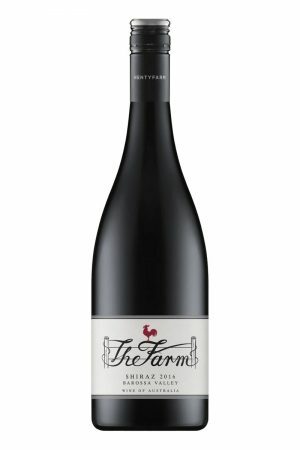 This cherry red pinot noir is all strawberry and cherry on the nose, and fine yet fleshy on the palate, ending with a punchy flavour burst. Drink this if you want a pinot that’s not like the others, a little off the beaten track. You’ll savour every drop. Pinot Meunier is a grape most found in making Champagne, but has a small cult-like following in the form of red table wine. We are pleased to make available a small amount of aged Pinot Meunier. Our fantastic grower Alastair Taylor made this wine – 2004 Hentyfarm Pinot Meunier from a parcel of his own fruit and has kept it in his sandstone cellar. We decided to release this wine from Alastair’s cellar to show this uncommon variety and the way it ages gracefully.